Last Spring I was invited to Denver for a really wonderful photography weekend, put on by Colorado Photographic Arts Center (CPAC). As I was walking through the portfolio walk (where photographers lay out their work on tables for the community to look through), I saw Jane's coffee filter image and, well, freaked. This work is smart, relatable and clever - a winning combination. The act of self-portraiture is akin to gazing into a mirror, except the gaze goes deeper; looking in to one’s self, not just at one’s reflection. In Reconstructing Self, I creatively explore self-portraiture, pushing the boundaries of the tradition, finding new ways to express self-identity. Reconstructing Self merges fabrications with conceptual photography in a series of self-portraits, playfully examining issues of identity in an ambitious juxtaposition of fashion, sculpture, installation and photography. 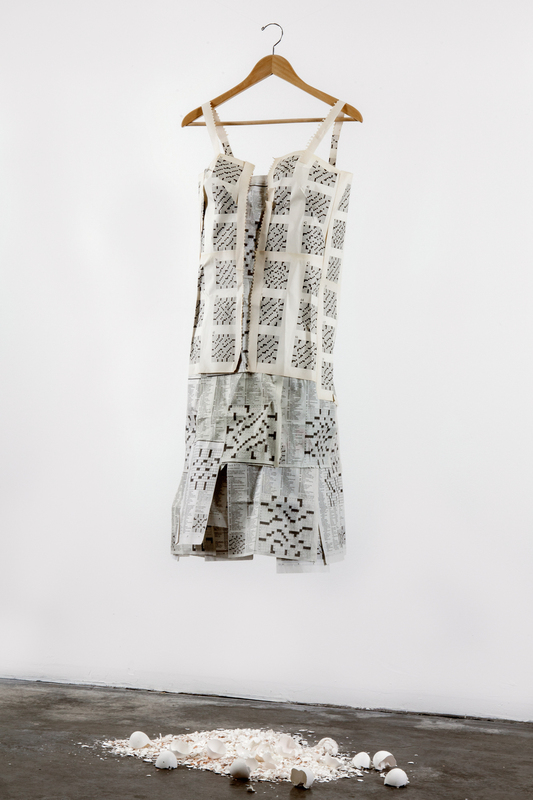 Photographs of dresses made from familiar objects such as coffee filters and dental x-rays suggest a persona and become a stand-in for my self. The personas represented in these forms illustrate who I am, who I am not, and who I wish to be. Drawing from my own background, I create still lifes, pairing objects with the dresses, building a story, and inviting the viewer to contemplate the connections and develop their own mythology. The balance between the self and the world outside can be a precarious one. We struggle to find a way to individualize ourselves, yet often merely blend in among the masses. 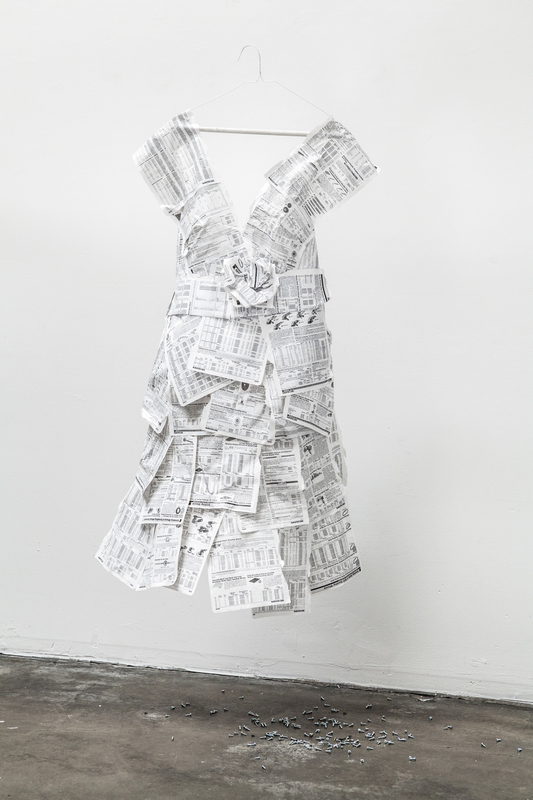 Presented as a typology, the photographs of dresses with their accompanying objects encourage the viewer to look closely to analyze the differences and similarities, and perhaps to fit themselves in to one or more of these dresses or “selves.” The empty forms suggest alienation or loneliness, while the materials and objects simultaneously strive for individuality and uniqueness. 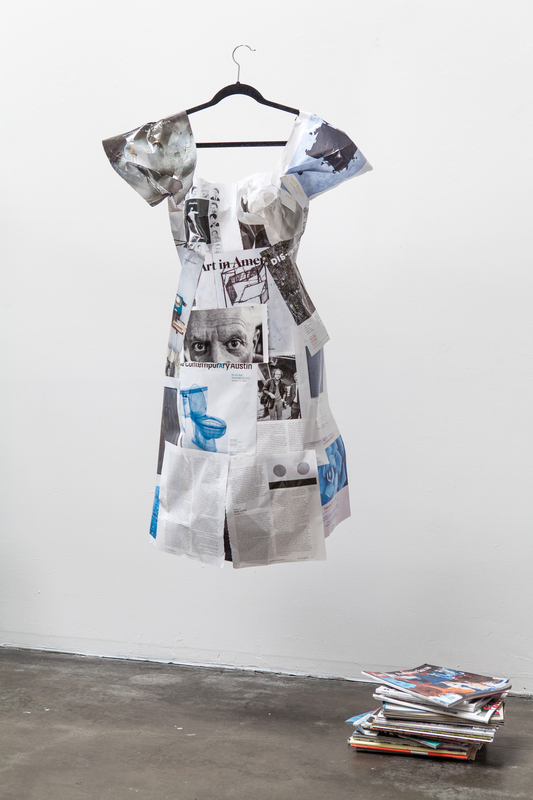 Though these works are self-portraits with personal stories and memories embedded through the use of specific materials, the lack of human form makes the dresses universal. With references to paper doll dresses and childhood playtime, one can imagine these personas could be put on and removed at will as the mood, personality and stories change.